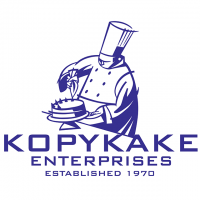 For nearly 50 years, Kopykake is the respected industry leader for our innovative cake decorating and bakery supply products. Our ground breaking edible computerized cake decorating system brings everyone the ability to create stunning picture cakes or cookies by printing any image or photo with edible, Kosher inks. Kopykake also carries a full line of bakery supplies including airbrushing equipment and colors, liquid pastes, decorating bags, and more!